This is a series spotlighting the grantees of the Hogg Foundation’s Collaborative Approaches to Well-Being in Rural Communities initiative. Check out others in this series on the good work happening in Bastrop County, Brooks County, Morris County and Victoria County. In July 2018, the Hogg Foundation awarded $4.5 million across six grantees of the Collaborative Approaches to Well-Being in Rural Communities (WRC) initiative. One grantee, Alliance for Greater Works, received funds to coordinate the initiative, and the other five—all in rural Texas counties—are using the funding to develop or build upon an existing collaborative to strengthen resilience, mental health and well-being in their communities. Through this project, we seek to address the community conditions that contribute to mental health disparities and the significant inequities that exist in Texas, and leverage the power of inclusivity and shared decision-making to create and implement community-driven solutions. It’s a tall order, thus, we’ve given each collaborative three years to assess their community’s needs and assets, build new relationships, and identify strategies that lead to better mental health for everyone in their community. The grantees are in the first of these three years. 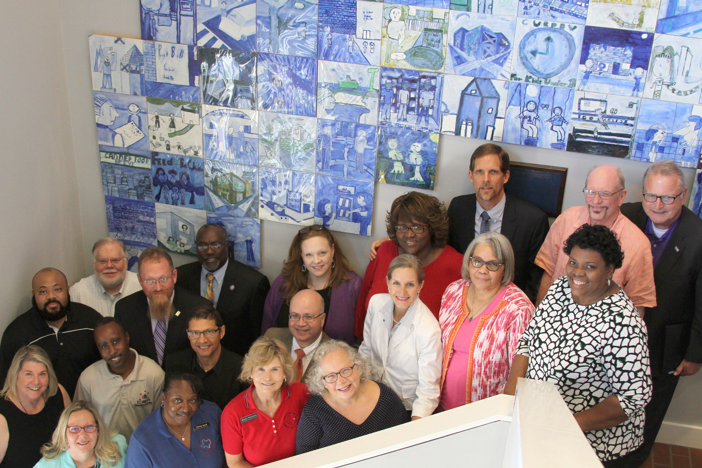 Today, we’re spotlighting the Nacogdoches County Community Collaborative. While faculty from the Stephen F. Austin State University School of Social Work will play a crucial role in helping the Collaborative develop, the ultimate goal is full community ownership—with a focus on the participation of historically excluded populations. More than a quarter of Nacogdoches County residents, and a third of the county’s children, live below the poverty line. When it comes to health behaviors, which include risk factors like obesity, physical inactivity, and alcohol abuse, Robert Wood Johnson Foundation (RWJF) indicators put Nacogdoches County in the bottom six percent of Texas counties. Due to a lack of local providers, many residents must travel to urban areas like Dallas, Houston or Tyler to obtain specialized medical and dental services—mental health care included. Deaths from mental health and substance use disorders have jumped significantly over the last fifty years, amounting to nearly double the national average for females. The city of Nacogdoches is the oldest in the state, with a rich history dating back to its founding in 1779. 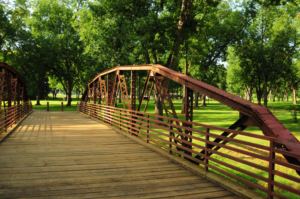 Even though Nacogdoches is no longer considered “the gateway to Texas,” as was the case in the 1800s, historic sites like the Fredonia Hotel and Caddo Mounds continue to draw visitors and inspire civic pride in residents. While local history often gives communities a sense of place, it isn’t necessarily enough to give residents a sense of belonging—a distinction that leaders of the Nacogdoches County Collaborative know well. They recognize that inequities dividing the county can’t be overcome unless everyone, especially historically excluded populations, has the ability to participate fully in community life and decision-making. Using participatory research techniques like appreciative inquiry, the Collaborative aims to rally local residents and organizations around the common mission of becoming a trauma-informed community. One of the methods employed by the Collaborative is a community conversation café. Based on the World Café model, the café gathers community members for relaxed, informal conversations about daily life in Nacogdoches County. By initiating ongoing dialogues among community members and giving the Collaborative key insight on community strengths and challenges, the café levels the ground between participants and leaders and thus paves the way for the collaboration to come.